Having consumed inordinate amounts of olive oil, it is time to reflect on Olio Capitale. When planning the trip, Trieste seemed to be at an awkwardly distant location for a major fair. If you are planning a trip to Italy, the best way to describe Trieste’s location is 2 hours past Venice! 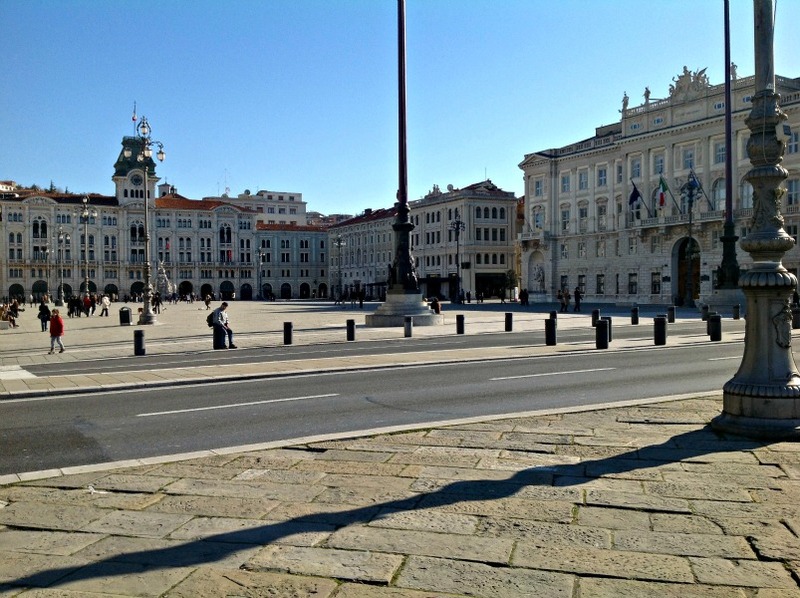 Stunningly gorgeous, perhaps more Eastern European than Italian, Trieste is a gem, and we would not have ever found this wonderful city without Olio Capitale. 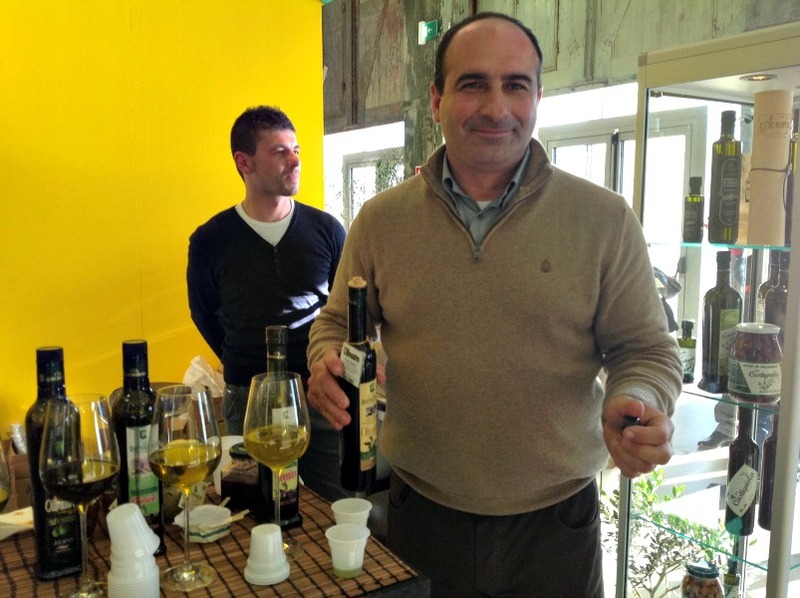 Olio Capitale is a conference and “fair” or trade show devoted to olive oil. With few exceptions every booth featured Italian olive oil. The producers ranged in size from 650 liters to hundreds of thousands of liters. The beautiful setting was a building on a pier in the harbor of Trieste. From the outdoor pathways we could see snow capped Alps through the haze. Two floors were devoted to olive oils booths, a kitchen stage, and gathering places, including an oil bar where all could be tasted (without the polite judgments one makes in front of the producers). It is always good to meet old friends and is certainly felt that way to meet Americo Quattrociocchi. We are big fans of his bold Olivastro, noted his new award for Best Organic Mill, and began plans to add his rich and flavorful jams to our line. We also met Nino Centoze from Sicily after having received many emails from him. We think his oil and packaging are outstanding. Look for it soon. Onto the new trends: the square bottle, like that of Olio Verde. Several producers have one, including Centonze. Another new bottle is the silver bullet, stainless steel bottle (suggested to be sold with one liter tins). For the first time, we saw a deep purple bottle (rather than dark green), as effective against the light waves as dark green. That holds a Sardinian oil we enjoyed. As always there were discussions on competitors’ bottles, in the most polite way, of course. They noted the clear bottles (use it quickly) and even the light green of Laudemio glass (with general agreement to keep it in the box). I discovered one producer sampling with bottles of 2011 oil and departed that booth rather quickly! Our next post will take a look at the event’s award winners! Mama mia! What happened to driving fast in Italy?!?!? All over the place there are speed cameras now. 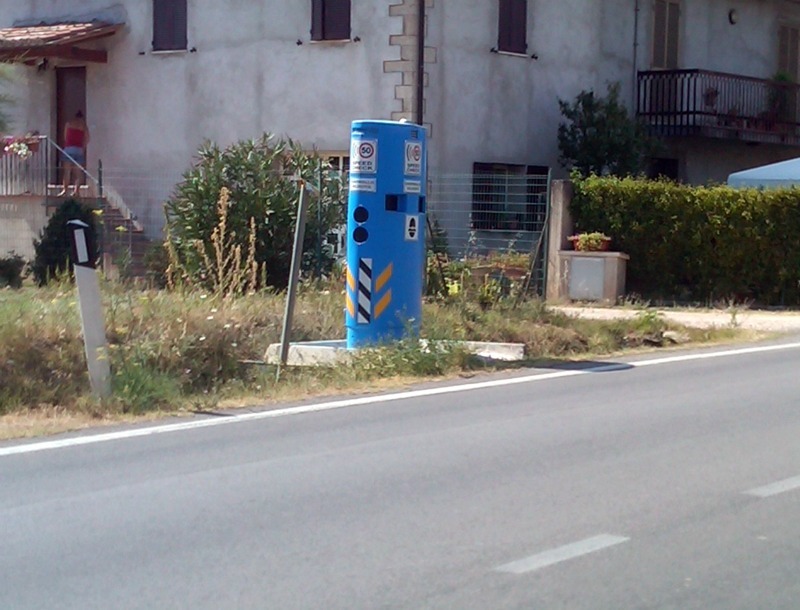 In most every tiny village, there is one of these things on the side of the road checking your speed. On the highway, there’s a similar box. When you see it, it’s too late. Fortunately, they are all well marked and so you get plenty of warning. But if you don’t know about them, you will soon get a ticket in the mail. The locals seem to know where they are. For example, driving on the E45 between Terni and Perugia, you see many signs about electronic speed control, but everybody seems to be driving at the usual 120 Km/hr – and then all of a sudden, those Audis that usually zoom past at 150 Km/hr slow down to 90 Km/hr, as if we all entered a time warp where everything shifts into slow motion. Then just as suddenly, the Audis and you accelerate and you exit from the time warp. 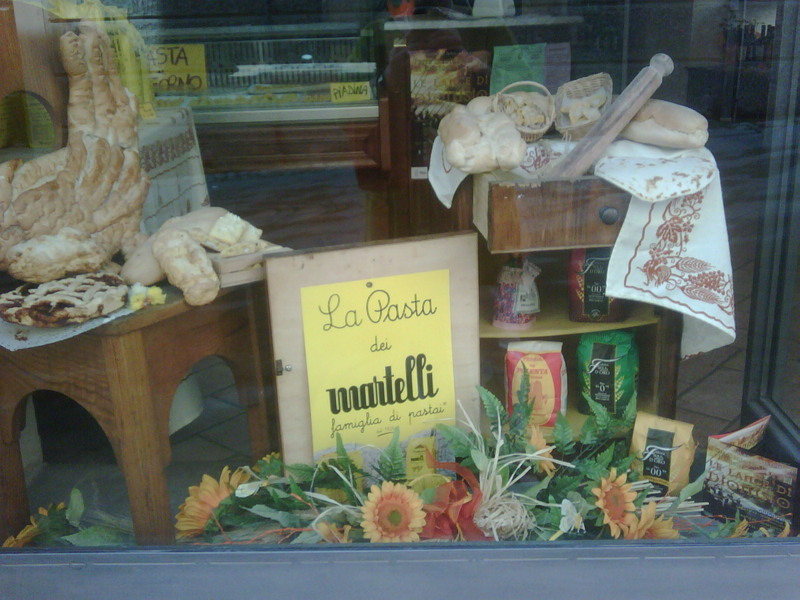 A Public Service Announcement from Jeff (in Umbria) and Olio2go! Emilia-Romagna feels like two regions combined into one political unit for convenience because the geography, food, wine, and towns have a slightly different feel. 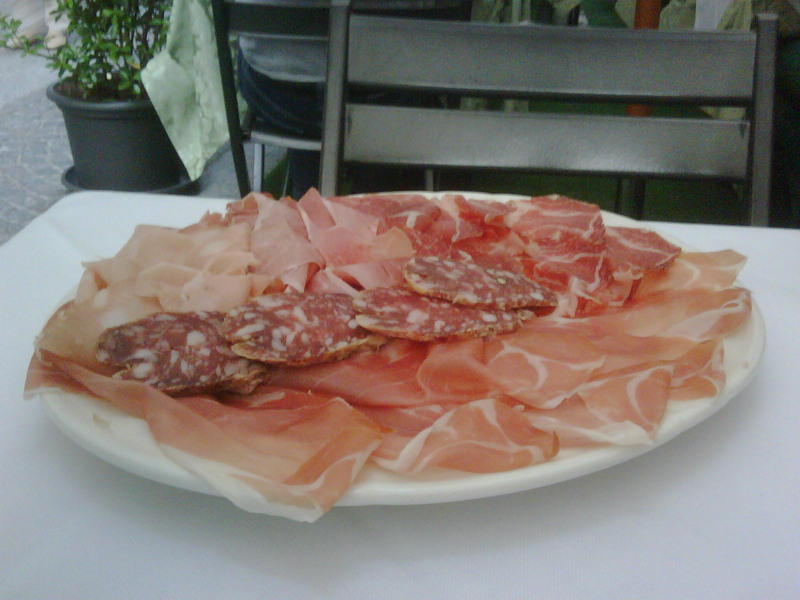 Emilia (from Piacenza to Bologna) is the classic pork and cheese region, so there is a lot of salami, prosciutto, stinco, culatello, etc. to be eaten. The wines are the Lambrusco and Gutturnio fizzy wines that we usually think of as lesser selections, but in fact are really great if they are of good quality. The geography is very flat. To the south lies the foothills of the Appenines, so the scenery is very pretty. To the north is the Po River, and the landscape is very monotonous. 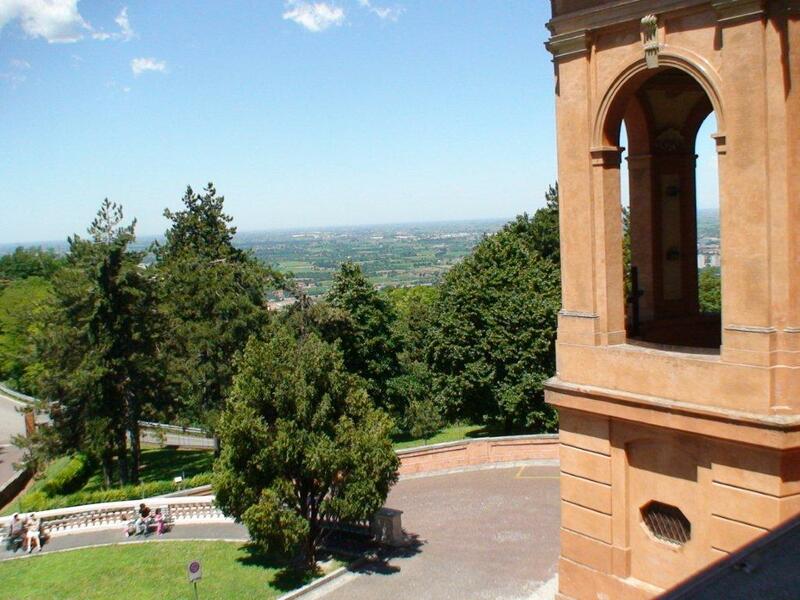 Romagna is the southeast corner of the region, and includes more mountainous territory. The food is similar, but this area is really the only olive oil producing part of the region, and so the foods tend to use more oil than in Emilia, where more butter is used. 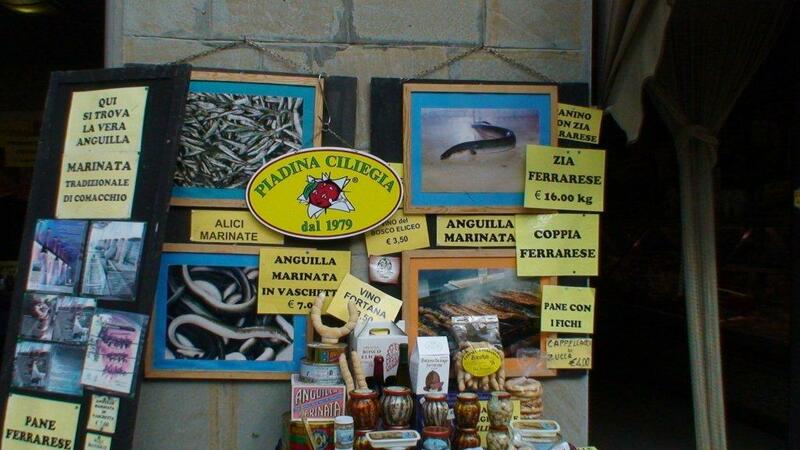 Romagna also includes the coastal region, so there is a distinct difference in the climate for that reason, too. In the Comacchio area, the coastal region is made up of a very large lagoon, through which the rivers meander toward the Adriatic. Among the rivers are the Reno and parts of the Po. This area is very flat and marshy, and Comacchio is locally famous for eels – the river banks have large nets ready to dip in for an eel harvest as the fish migrate to the Adriatic each September. Click on the photos above to see the EEL photo! The olive producing area is centered around Brisighella and Terra del Sole, south of Faenza. Brisighella is a very scenic hill town much like one would find in Tuscany. 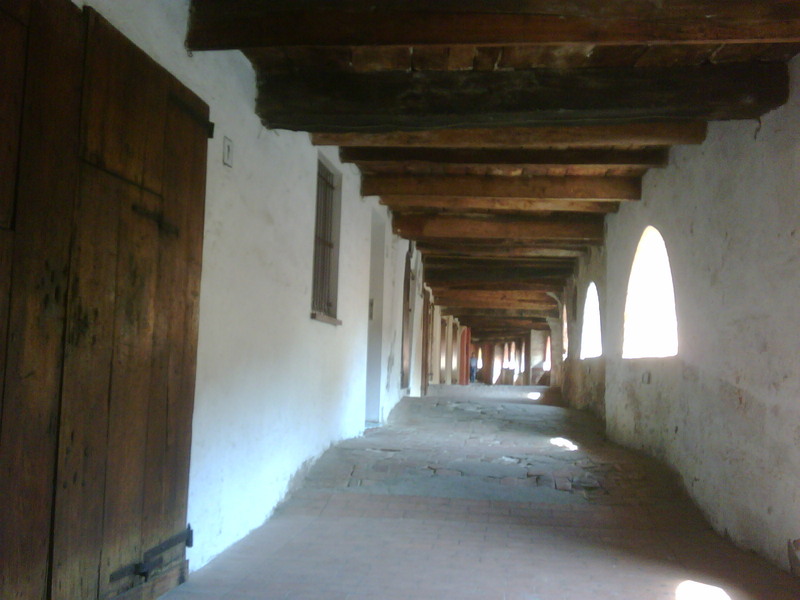 Terra del Sole is a Medieval planned community, and a spa town abuts it to the south. 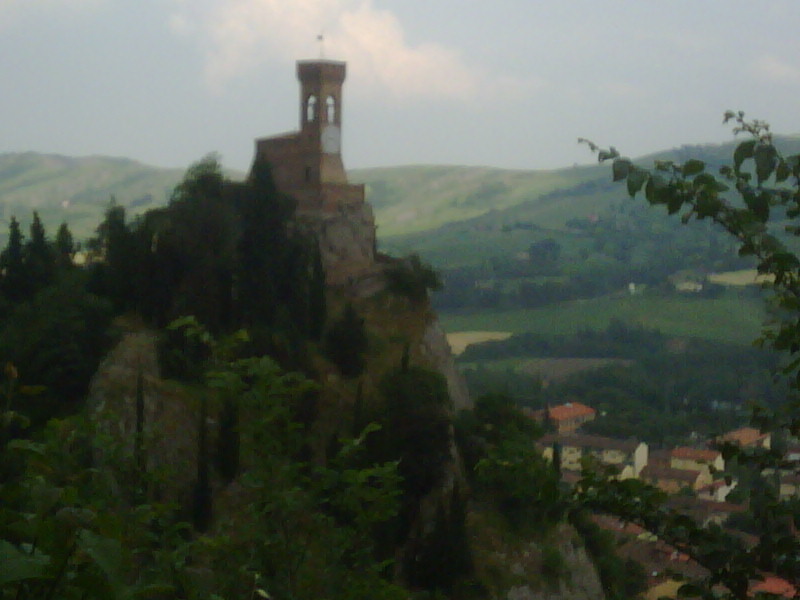 The Terra di Brisighella is the DOP for this area. We drove up to La Pennita late in the day. That was when we got caught in the terrible hail storm. The Alina is 100% Nostrana di Brisighella olives. Stay tuned as we will try to get this for Olio2go. We discovered Squacquerone cheese in Brisighella, which was eaten with Gnocco Fritto – little fried puffed breads – molto delizioso! I’m going to try to make some of that. We also had the local artichokes – a small purple type that is cut down to the small heart and marinated and/or fried. The local wines are Sangiovese di Romagna – very inexpensive and very good. As far as the cities, we enjoyed Bologna but lost interest after a couple of days. If you do go, you should read John Grisham’s The Broker while there. Bologna was a little gritty and filled with tourists and students. Milan – we had a hard time finding things to do there. (Other than the fashion sites?) Parma was a different story – we enjoyed the feel of the city and the things to do. It was a lot less touristy and much more livable. I would compare it to Verona in terms of a place I could live. 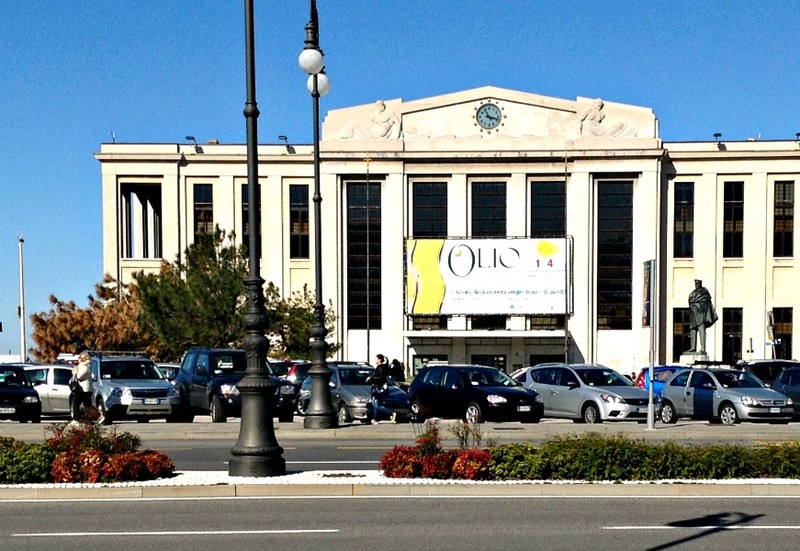 Parma is also where CIBUS is held – the Italian version of Fancy Food Show. We rented a car twice with Maggiore (part of National) and the prices were pretty inexpensive relative to Avis – it was about E70 per day for a decent sized car. We took the train from Milan to Bologna and from Bologna to Parma, and it was an inexpensive, fast, and very easy way to go. The current value of the dollar made everything on the trip seem a lot less expensive. Our meals all seemed much cheaper than in the recent past. (Ed. Note: Check back for next month’s Rome report).